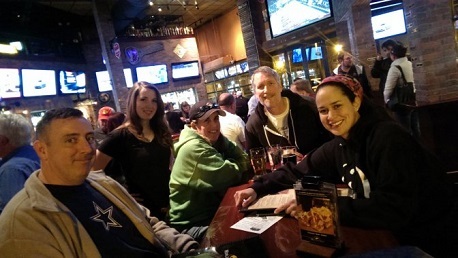 Another fantastic night of trivia! This time, our featured brewery was Bell's and Tommy was in the house spreading the love from Michigan's hottest brewery. Side note, if you fancy yourself a hop-head, I highly recommend the HopSlam. It's amazing. Speaking of amazing, the trivia this past week was just that. Thanks to everyone for coming out. Congratulations to our winners, the Mouseaholics and Punching Ms. Daisy. Also, a big shoutout to one of our newest teams, RAKIYA, for their second place effort. That's two weeks in a row you guys have cracked into the top 2. Keep it up!